This brand new MI Homes’ Preston plan is built with 2x6 construction and R-19 insulation. It includes a fully transferable 15 yr. structural warranty. Every M/I Home is Whole Home Certified saving an average of 30% on energy costs! Artisan style exterior w/stone & James Hardie siding. Two story foyer next to flex room. Gathering room w/ fireplace open to chef's kitchen. Kitchen features GE SS appliances, including convection oven & electric cooktop w/chimney hood, 42" cabinets, & quartz countertops. From dining nook step out onto veranda. Den offers more 1st floor space. Owner's suite features tray ceiling, sitting area, WIC, dual raised vanities, ceramic tiled shower, & large soaking tub. Hall bath has dual vanities. Spacious loft. Directions:Take I-74 E to Exit 96 Post Rd. Turn right on Post Rd. Turn right onto Northeastern Ave. Turn left on Southeastern Ave. Turn left on Thompson Rd. Turn right on Sagebrook Blvd. Home on left. 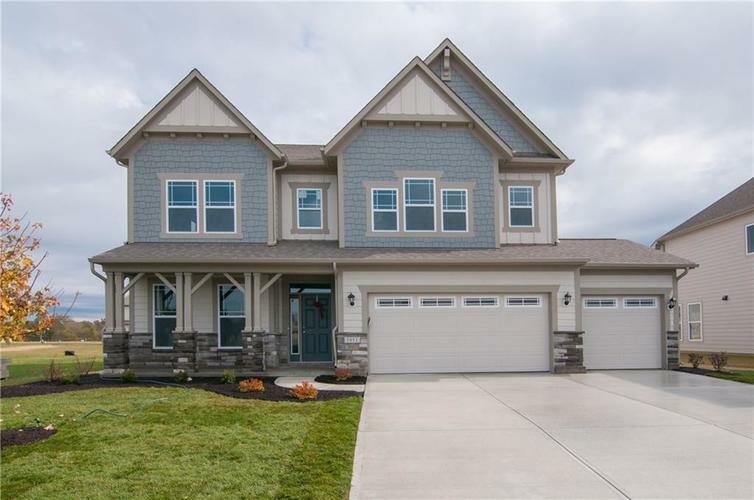 Listing provided courtesy of M/I Homes of Indiana, L.P..